As economic powers from the developing world, particularly China, have emerged in the past few decades, their weight has altered the balance in the global trading system. This has presented challenges in the World Trade Organisation (WTO), where the Doha Round of multilateral negotiations has dragged on for more than a dozen years. Frustrated by this stalemate, many countries have sought alternatives. Among these are ‘mega-regional’ trade agreements such as the proposed Transatlantic Trade and Investment Partnership (TTIP) between the US and EU, and a 16-member Trans-Pacific Partnership (TPP). 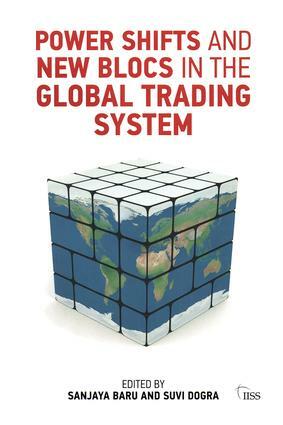 In this volume, leading commentators – including two former heads of the WTO – examine the possible consequences of this shifting trade landscape. Is globalisation in reverse, and have countries been retreating from liberalisation since the world financial crisis of 2008–09? Are the ‘mega-regional’ deals an existential threat to the WTO regime, or can they be used as building blocks towards wider multilateral agreement on a broad range of issues, from industrial standards to intellectual property rights. And what does it all mean for the balance of geopolitical power between the developed and developing world? Sanjaya Baru is Director for Geo-economics and Strategy, IISS, and Honorary Senior Fellow, Centre for Policy Research, New Delhi.. Suvi Dogra is Research and Liaison Officer for the Geo-Economics and Strategy Programme, IISS.